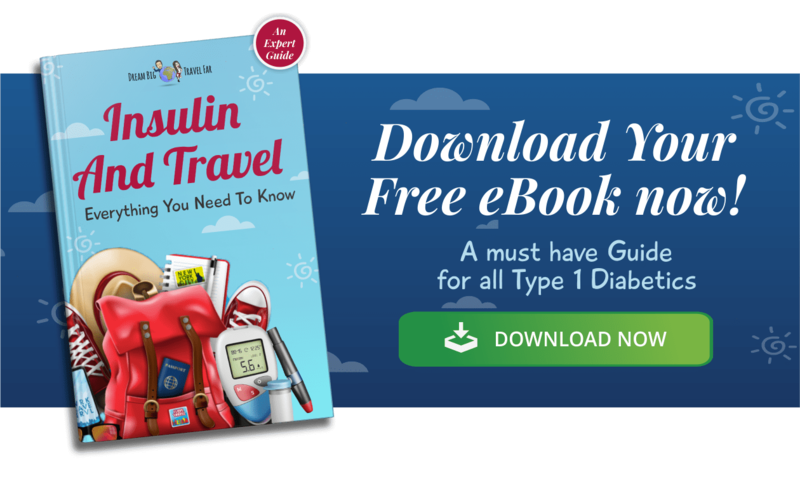 Your guide to managing diabetes in the heat with tips I have learnt along the way from my travels. From staying out of DKA to keeping equipment cool. 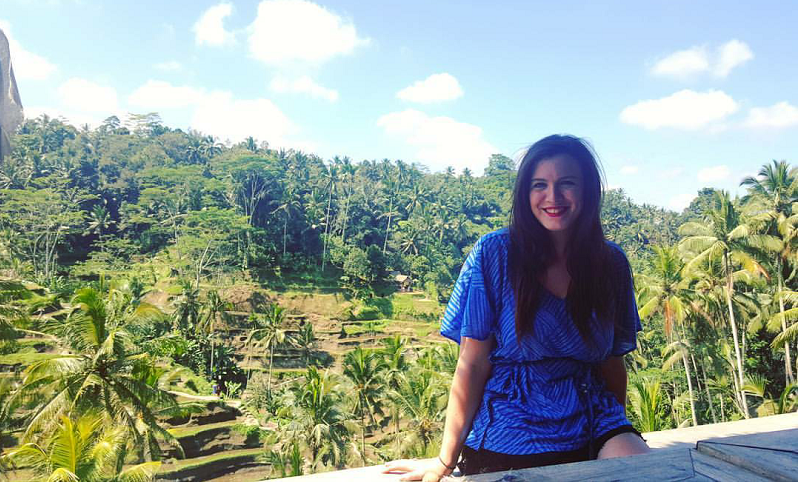 I always find myself in hot destinations, Vietnam, Thailand, Cambodia, and more. I’ve decided to try and put together a guide and various tips I’ve learnt about dealing and coping with diabetes in the heat in the sunshine. The sun is a powerful force and it does affect us all differently, since I am both white and Irish, naturally I find the sun impacts me in the I get burnt and take lots of hypos type of way. One of the most annoying things about diabetes and the heat, for me, is the link between getting dehydrated and hypos and DKA. It’s like all the signs and symptoms all get muddled into one and you can’t really trust your body's instinct. The reason for this is due to the body metabolism increasing in humid and hot weather. So as a general warning, if you feel sweaty and a little dizzy don’t mistake this for being dehydrated or heat exhaustion, make sure you test your blood sugars. This is actually easily to forget to do, when I’m having a great time and I feel hypo, I sometimes don’t test and just treat because I know for sure it’s a hypo, but in the heat you just don’t know. 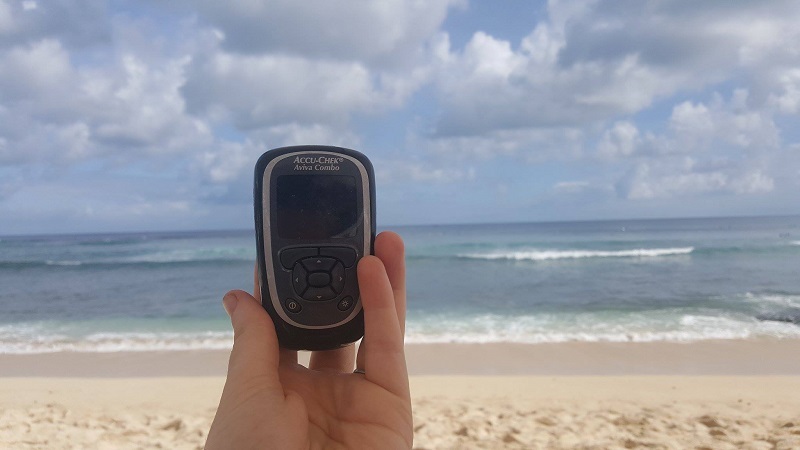 I would always recommend testing your blood sugars quite frequently when managing diabetes in the heat, around every hour, but if you are drinking in the sunshine or exercising in the form of swimming, surfing or even on beach activities such as volley ball, then maybe check your sugars every half hour- just to play it super safe. The safer you are, the less complications and the more fun you can have in the sun! Why is dehydration a problem for type 1 diabetes? Dehydration is caused when your body isn’t getting enough water and it’s very common in the heat because you are constantly sweating out the fluids you are putting into your body. So try and drink sips of water regularly throughout the day to help with managing diabetes in hot weather. The frustrating thing about type 1 diabetes is that if you do come dehydrated, your blood sugars can rise and lead to the usual symptoms of high blood sugars such as dry mouth, going to the toilet more often etc, and as you all know, high blood sugars leads to further dehydration...and higher blood sugars. This makes the whole dehydration and DKA risk a vicious cycle. So stay hydrated and remember that if you are already thirsty it’s a sign you are already on the road to dehydration! A perfect 5.5 on my accu check! Reduce your long-lasting (on an pen) or your background insulin (on a insulin pump). This will depend on how long you are intending on staying in the sun and again what physical activity you are planning on doing. I would discuss with your DSN or medical professional to get a good number that works for you, but personally I would reduce mine by around 20% for sitting in the heat and just enjoying a spot of sunbathing and around 40-50% if I am swimming or drinking in the sun too. Reduce your short-acting insulin (pens) or next bolus (pump) at your next meal if you have been involved in activities such as surfing, swimming, water-sport activities etc and remember children (and some adults) are super sensitive to insulin and the sun so keep a closer eye on their doses and blood sugars when managing diabetes in the heat. Remember if you are on an insulin pump you can use a funky “temporary basal rate” to reduce your insulin doses for the day- consult with your DSN on how to work this if it’s your first time. Record your blood sugars closely whether you pop them in a physical diary or use a blood glucose monitoring app. There’s so many great apps out there and can link up to an exact monitor you are using. 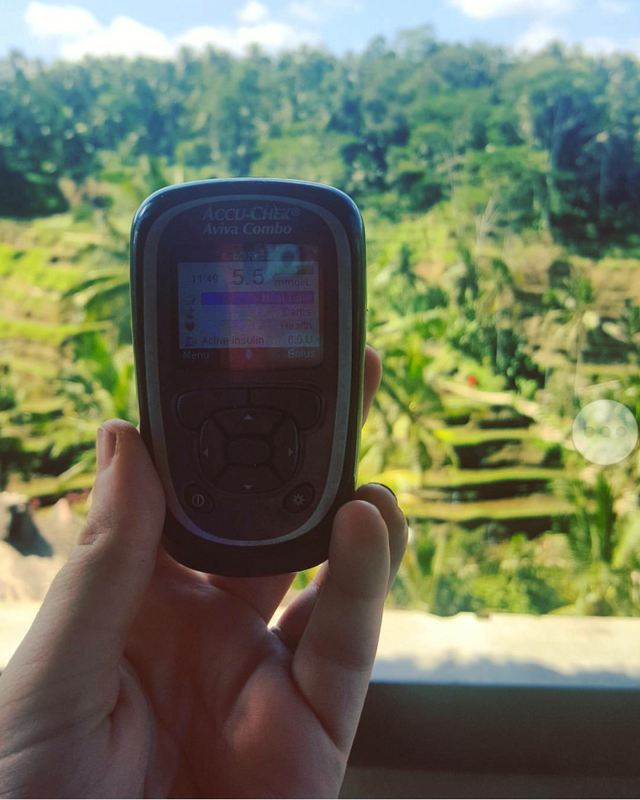 When I am using my Freestyle Libre it’s far easier to predict any highs or lows and see patterns, but if you aren’t on a Freestyle Libre, jotting them down and physically seeing a graph is a good way to adjust for the next time you are in the sunshine. Check out Carbs & Cals and Glucose Buddy- both available for your android or iPhone. Remember to avoid sunburn as this can cause dehydration...and we’ve just witnessed the headache that is! Carry more sugar than you need and carry small change for sugary drinks. I found in Brazil I went through my daily sugar allowance (lol) in one day- whilst I was adjusting to the new found Brazilian sunshine, I hypoed around 4 times in the first 6 hours. 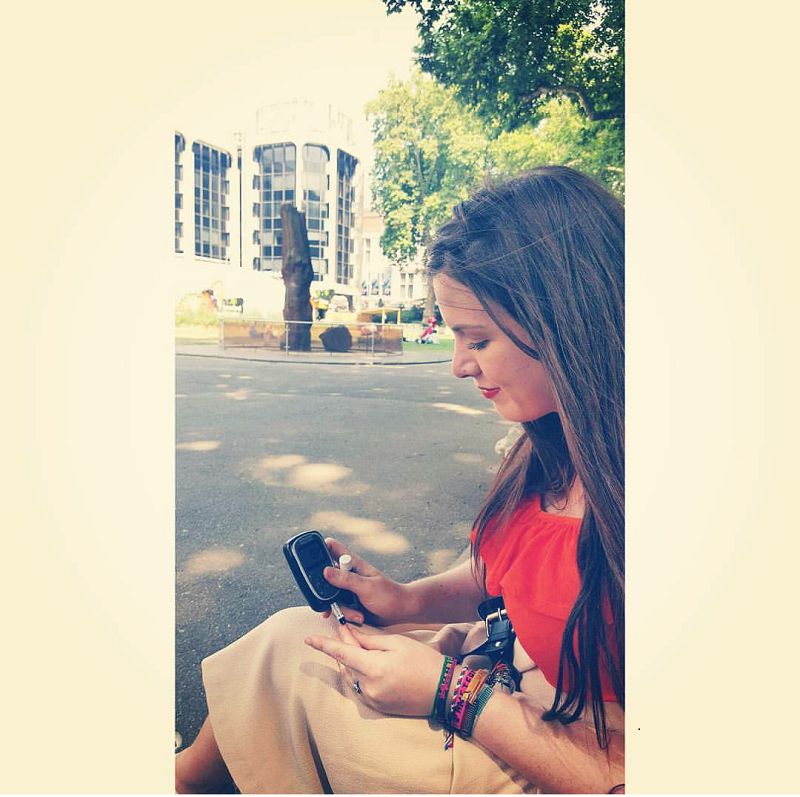 So always overestimate, you’ll be surprised. If you don't’ want to carry bulk sweets then carry some dextrose tablets- they are small yet effective. Remember that hot tubs, saunas, blue lagoons, hot springs etc, can all affect your blood sugar. Whilst the sun may not be directly on you, the humidity and heat will have the same effect in dragging your blood sugars into a hypo. If i find myself chilling in a hot spring and I am slipping low I usually sip on a can of sprite or something similar. Our monitors and insulin are only built to withstand a certain temperature so they need looking after too. 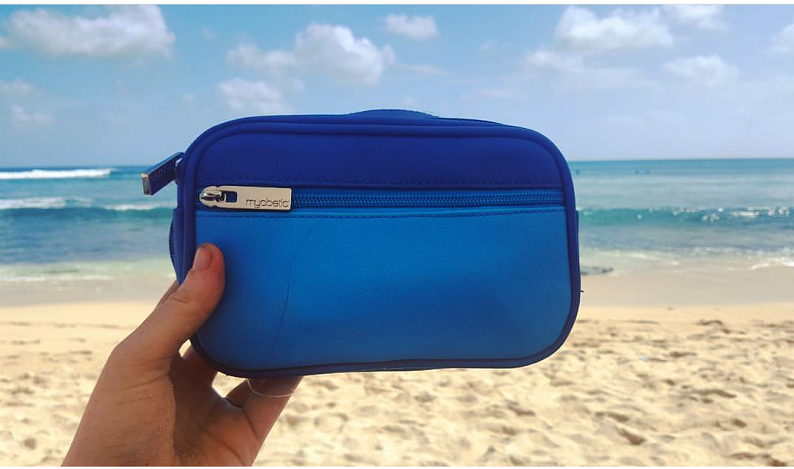 I’ve spoken before on how to keep your insulin cool while travelling with the use of Frio bags, and they work just as well in the heat. If you want to keep yourself organised, Myabetic even does organised bags that have a slot for your Frio bag. This will keep everything cool and where you need it in one place. 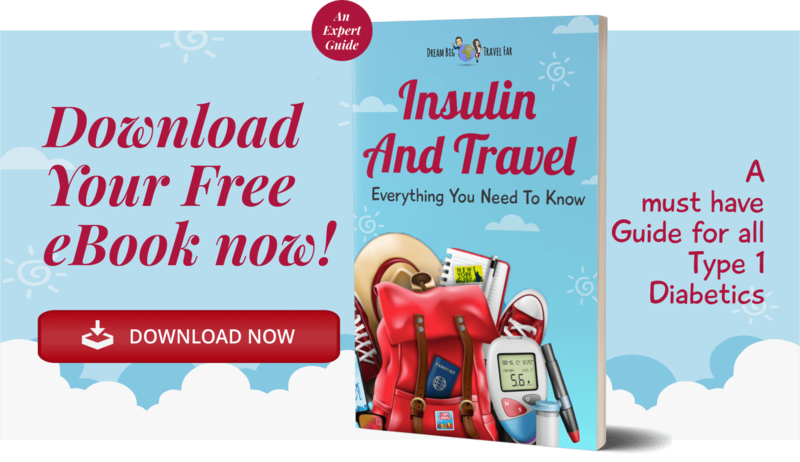 If you're interested in checking out the full range of insulin travel cases and their benefits, I've completed a complete post on Insulin Travel Cases: A comparison. Basically ensure you have something to protect your insulin so to help with managing your diabetes in the heat. Remember to never keep your monitor in direct sunlight, in a hot car or even in a bag that sitting in the sun- when they overheat they may not switch on. In fact, lot’s of monitors will give a warning saying it’s too hot to function. You know it’s time to get it cool asap when this happens! Generally they struggle when they get above 44 degrees C.
Frio actually do insulin pump covers as well, which I am going to invest in as I think they would be really useful in situations where I am trying to sunbathe but also keep my insulin pump cold. Have you got any other tips for managing your diabetes in the heat and hot weather? Then comment below! 2019 FreeStyle Libre Sensor Review: All Your Questions Answered!